Wawrinka was swept aside by Marton Fucsovics of Hungary 6-4, 6-0 in the quarterfinals for his first defeat in front of home fans at Geneva since 2015. Stan Wawrinka's ranking has dropped to No. 25 while sidelined by persistent knee injuries. 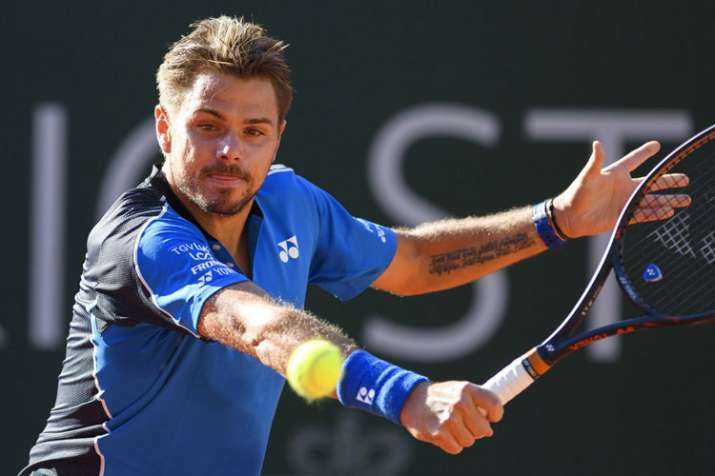 Two-time defending champion Stan Wawrinka and top-seeded Sam Querrey lost at the Geneva Open as the semifinals lineup was completed on Thursday. Wawrinka was swept aside by Marton Fucsovics of Hungary 6-4, 6-0 in the quarterfinals for his first defeat in front of home fans at Geneva since 2015, just before he won the French Open. Querrey lost in the second round, his opening match at the rain-hit tournament, to Guido Pella of Argentina 7-5, 6-7 (6), 7-6 (4). It was the 13th-ranked American's third straight quick exit from a clay-court event before the French Open begins on Sunday. Querrey also lost to Pella last month in Houston. Wawrinka's ranking has dropped to No. 25 while sidelined by persistent knee injuries, and his second-round win on Wednesday was his first on tour for nearly four months. Fucsovics will next play Steve Johnson after the sixth-seeded American won both of his matches on Thursday. Johnson won in the morning, against qualifier Lukas Rosol of the Czech Republic 6-4, 4-6, 6-3, then came back on court in the afternoon to beat Pella 6-3, 6-4. Second-seeded Fabio Fognini of Italy shapes as favorite in his semifinal against unseeded German Peter Gojowczyk. Fognini, playing on his 31st birthday, won his quarterfinal against Tennys Sandgren of the United States 7-6 (3), 7-6 (5). The 49th-ranked Gojowczyk ousted seventh-seeded Andreas Seppi of Italy 6-3, 6-7(3), 6-3.